Beyond Birth and Death addresses this pattern, and challenges the reader to rethink what "life” means. We tend to think "life" is a brief event occurring between birth and death. We celebrate a birth as "a coming into life" and mourn for the "dead." But really, life is our permanent condition, and what we call "birth and death" are merely bodily changes. This is Krishna's beginning instruction in the Bhagavad-gita; the self is never born and never dies. We all exist forever, but we're now heavily involved in a temporary existence in a temporary world. What to do? If we can begin to understand the difference between our self and our material covering, the joy and relief we experience can be life-changing. 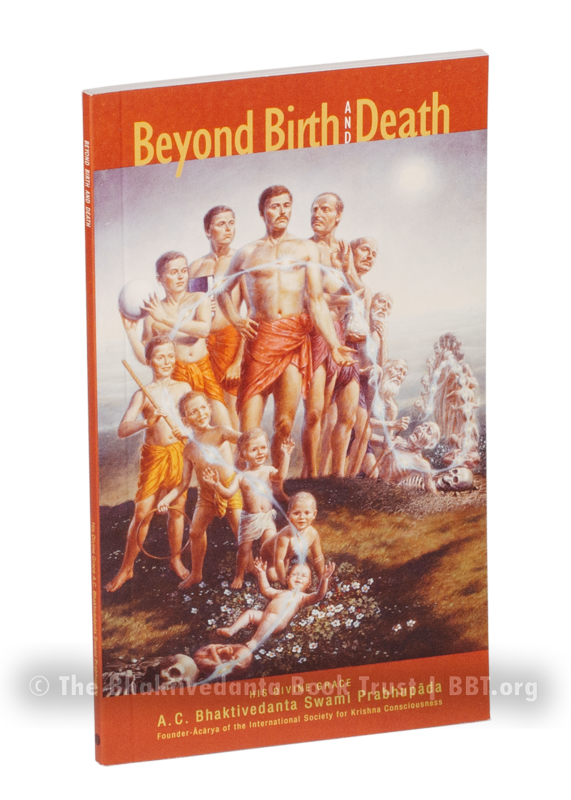 Beyond Birth and Death was prepared from transcripts of lectures Srila Prabhupada gave in 1966 on the second and eighth chapters of the Bhagavad-gita, which discuss in detail the important differences between us (the immortal, spiritual self) and our temporary material outer coverings (bodies).